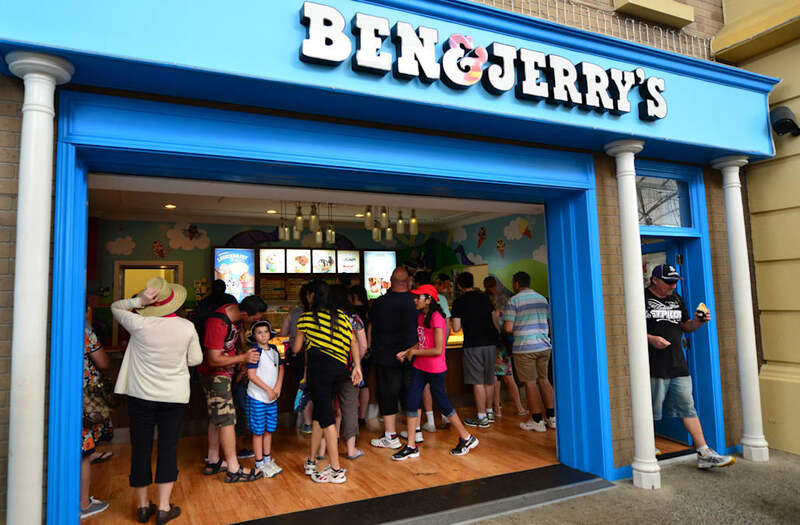 Ben & Jerry's — a brand famous for its quality and eco-friendly practices — is under fire after a test uncovered a controversial ingredient in its ice cream. The Organic Consumers Association (OCA) found glyphosate, the main ingredient in weedkillers like Roundup, in 10 out of 11 samples of the company's ice cream flavors, the New York Times reported on Tuesday. Ben & Jerry’s is constantly innovating and releasing new varieties, but if no flavors were ever retired then there would quickly be a back-up, and way too many options to choose from when the ice cream craving strikes. More than 200 flavors have been retired to far, and more are added to the pack every year. But only the truly memorable ones make it to the Flavor Graveyard. Read on to pay your respects to those flavors that are no longer with us. melting puddles of wicked succulence." lies peaceful under a maple tree, the flavor lost its strife." It just wasn’t Whoopie enough." "Where do all the cows go when heaven gives the word? This flavor kicked the bucket when angels took the herd." Must have been the pistachios." "Here the brazen DASTARDLY lies. The cup, and the glass. Was not meant to last." So we stuck to the sammich." We turn to the puffin." Mix ‘em in a pot! Pop ‘em in your ice cream! We bid Rainforest Crunch goodbye. Got sticky in between our braces." When you left of this earth." Dead it’s not, oh no, not yet." on the sixth of November." While the levels of glyphosate were well below the legal limit set by the Environmental Protection Agency, the Organic Consumers Association argues that any presence of the pesticide product is misleading and potentially dangerous. "It's time for Ben & Jerry's to announce it will immediately begin transitioning to 100-percent organic," using zero pesticides in production, the OCA said in a post on its website. "Otherwise conscious consumers have no choice but to launch a national and, if necessary, international protest campaign and boycott." The OCA has called for Ben & Jerry's to stop labeling its ice creams as "natural" because the brand's dairy cows consume genetically-engineered corn (the brand told the Times that it is working to find all-natural alternatives). Add-ins, such as peanut butter or cookie dough, containing ingredients that have been sprayed with the weedkiller may also be the source of the glyphosate in the ice creams, according to the Times. The question of if glyphosate is dangerous to consume is still hotly debated. While the World Health Organization said in 2015 that the weed killer was "probably carcinogenic," Reuters reported in June that scientific data may not fully back that claim. Despite the continued debate, many customers simply do not want to have a herbicide ingredient in their food. Soon after the Times published its article on the OCA's ice cream test, the brand began receiving complaints and boycott threats on social media. Ben & Jerry's ice cream tests positive for Monsanto's glyphosate. It's time for this iconic brand to dump #dirtydairy and go 100% organic. "You are my favorite ice cream brand, but I CANNOT buy your ice cream again until it no longer comes up positive for MONSANTO'S GLYPHOSATE," one person wrote on the brand's Facebook page, referring to Roundup's maker and leading G.M.O. seed producer, Monsanto. 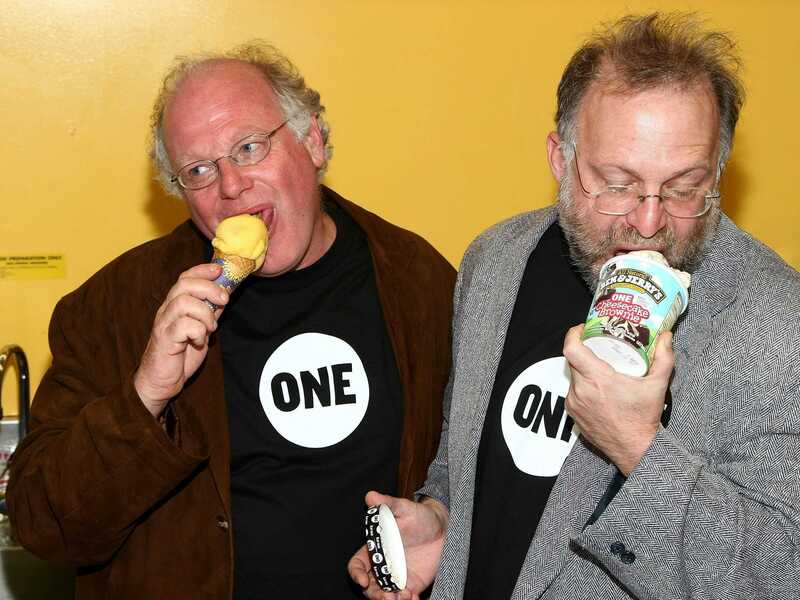 Ben & Jerry's, which was founded by Ben Cohen and Jerry Greenfield (who the OCA calls "two affable hippies") in 1978, did not immediately return Business Insider's request for comment. The company has long had a reputation for advocating for the environment and social justice, even after its acquisition by consumer goods giant Unilever in 2001.